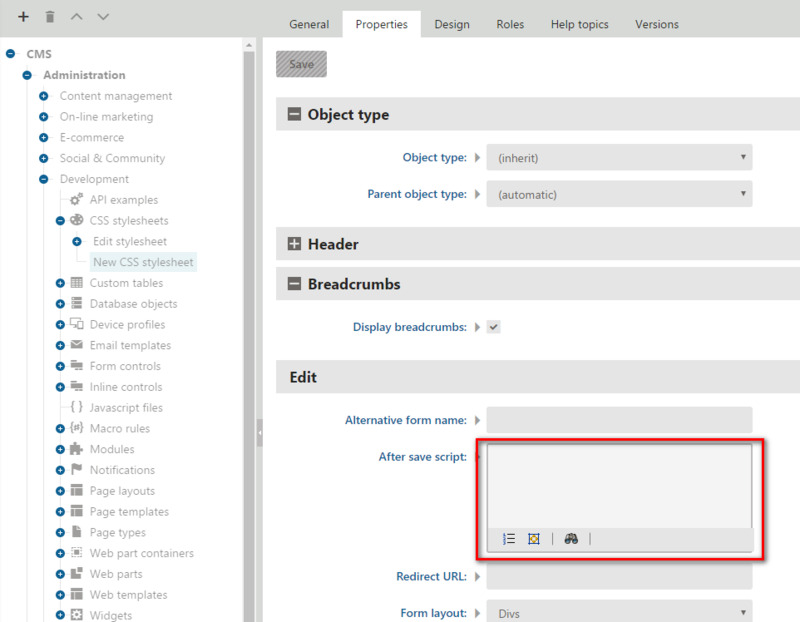 In the article Module development – Introduction (reference : http://devnet.kentico.com/articles/module-development-introduction), I want to add a Back button which will send the user back to the Listing from the New Form Entry. I figure, some changes have to be done in the XML, but can anyone tell what the proper code should be for the Back button redirection? If you use the Vertical tab template when you're building your module, it's automatic. Key is you have to set your structure up the same way they have it (recommended) otherwise the OOTB functionality will not work. Should not have to write any code. Double check your steps, most likely missed one. Thank You Anton Grekhovodov. The Breadcrumb strategy did the job, but is there any way to implement a Back button in the New Form Entry screen. If not, is it possible to redirect to the Listing Page after a New Save has been done?